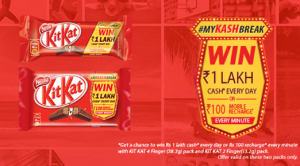 KitKat MyKashBreak Offer – Win Rs 1 Lakh or Rs 100 Mobile Recharge. KitKat is come back here with new and amazing offer if you buy KitKat pack. 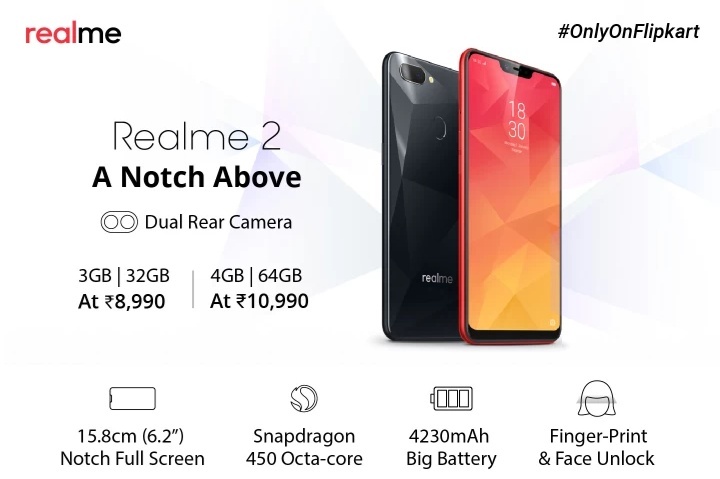 You can win Rs 1 lakh Rupees every day or win Rs 100 mobile recharge every minute with KitKat 4 Finger (38.3 gram) pack and KitKat 2 Finger (13.2 gram) pack. This offer is valid only on these 2 packs. This is an amazing offer from KitKat. Down below i’m going to share the details about KitKat MyKashBreak Offer steps to grab this offer. 1) First of all buy a Kitkat pack of KitKat 4 Finger (38.3 gram) pack and KitKat 2 Finger (13.2 gram) pack from your nearest store. 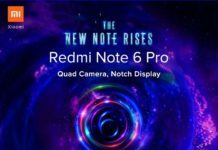 Note :- You can win Rs 1 lakh Rupees every day or win Rs 100 mobile recharge every minute with KitKat 4 Finger (38.3 gram) pack and KitKat 2 Finger (13.2 gram) pack. This offer is valid only on these 2 packs. 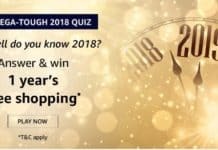 2) Make sure your Store has Updated products and “KitKat MyKashBreak Offer – Win Rs 1 Lakh or Rs 100 Mobile Recharge” must be Mentioned on it. See also – Get HoneyChew 5 Pack Sample Absolutely Free. 3) Open the Chocolate pack & see promotional voucher under pack. 5) Then next step is Send SMS as below format. That’s it if you are lucky winner than you will get 1 Lakh Rupees through Cheque/Bank transfer. Mobile Recharge lucky winners will get recharge worth Rs 100 on registered mobile. 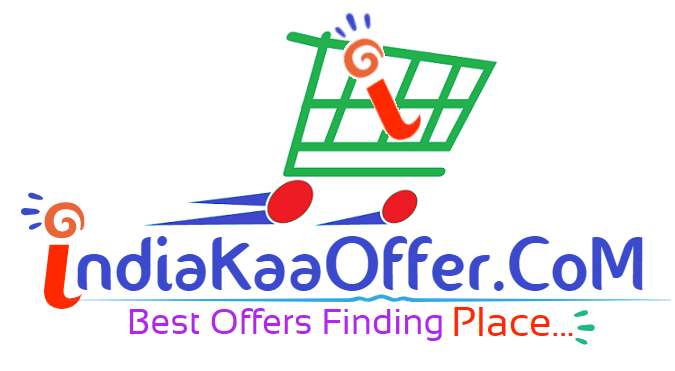 Keep visiting for more latest offers.